Doug and Glenn of Doug Smith Designs + Events took our vision and made it into the fairy tale that I’ve dreamt about since I was a little girl! They were there throughout the entire planning and preparation process, and always went above and beyond by sitting with my mom and I for hours to go over details and provide us with reassurance. From the bouquets, archway, and centerpieces, down to the aisle markers, they hit it out of the park! They’re expertise, professionalism, and overall wonderful personalities are sure to make your day a dream come true as well!! They will always hold a special place in my heart for sharing my vision and making it a reality! 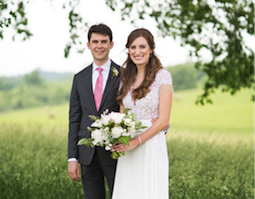 Parents of the Bride – Tim and I cannot truly express our thanks to you both for creating the fairytale, whimsical wedding Kayla envisioned from the very beginning. Doug, you simply wowed us with the beautiful pew markers, bouquets and arch in the ceremony, as well as the centerpieces and head table in the tent. You were on board with her vision from day one and the results were breathtaking! Thank you both for your patience and reassurance. Glenn, it was a comfort to know you and Susan were there with us all day. My cousin, Cindy, said you both were so very helpful to her and I appreciate that very much. You all are not only awesome professionals, but you are caring, awesome human beings. Many thanks for making Kayla and Tyler’s day so special! There are not enough words in the world for Will and I to adequately express our appreciation and gratitude to Glenn and Doug of Doug Smith Designs + Events for guiding us through the planning and production of our July 2017 wedding. As a person who hadn’t thought much about what kind of bride I wanted to be or what kind of wedding I wanted to have, I went into the whole thing pretty (or rather seriously…) uninformed on how all those Southern Living and Pinterest-worthy weddings come together in real life. But Glenn and Doug took my no-nonsense personality in stride 🙂 From the very first time we met with them, I knew we were in the right hands. These were the guys who would not only provide us with prompt information and the widest variety of options and ideas (who knew there were SO many?? ), but more importantly, these were the guys who would help creatively inspire me and help us to develop a fully-realized vision for the most beautiful day of our lives. Glenn and Doug treated us like family and made sure we were taken care of every step of the way. Their unyielding support, impeccable professionalism, and unparalleled industry expertise are what gave me, my husband, and both our families the irreplaceable opportunity to truly enjoy our wedding instead of having to stress over it. I would, without hesitation, recommend their services again and again (and then again one more time, for good measure!). Mother of the Bride – Every mother thinks about her daughter’s wedding day from the first moment she holds her at birth (at least on those special celebrations throughout life). Doug and Glenn of Doug Smith Designs + Events provided all the planning and coordination you need to meet those dreams. Their poise and dignity brought a calmness to the planning and ensured you did not miss any details. As a highly organized, slightly full-charge professional woman, I will say that I would not consider doing this without their assistance. Only one slight melt-down by me and Glenn had me marching forward in no time! Suffice it to say, my daughter had the wedding of her life because they were involved. It was executed flawlessly. I know the entire experience can be overwhelming but they were spectacular. I have #2 in 2018 and would not consider using anyone else! Their flowers were exquisite and commented as such by everyone, including other floral designers! You absolutely cannot go wrong here. We used Doug and Glenn as our planners and coordinators for our Kentucky farm wedding in May 2017. They were wonderful throughout the planning process, and did a great job managing vendors and keeping us on schedule as the big day approached. This was particularly important for us as we live out of state and were planning the wedding from a distance. The ceremony went off without a hitch, the reception was beautifully decorated, and the overall day was magical. We received many comments from guests about the attention to detail throughout the day. We’d highly recommend Doug and Glenn to anyone looking for a planner/coordinator. Doug and Glenn are the best! A friend of mine who used them for her wedding planning recommended them to me soon after I got engaged. I met with them and immediately hired them — I didn’t need to talk with anyone else, they were exactly what we were looking for! They have established great professional relationships with many vendors in the Lexington area which ended up being a huge benefit for us. Not only did they recommend the best vendors, but they also handled the contracts for us which was a huge stress relief for us. They met with me a ton of times during our year and a half long engagement and were always quick to respond to my emails or texts. One time I found myself in a “crisis” figuring out our seating arrangements and they were able to meet with me right then and offered a perfect solution that I hadn’t considered. On the day of our wedding, I was stress free and we were able to enjoy the entire day knowing that they were in charge of everything. We also hired them to design our florals — the flower arrangements and bouquets were beyond our expectations. Aside from their experience, professionalism and organization, the best part with working with them was that they were excited to execute the ideas we came up with which made the whole planning process even more exciting for me! I am so glad to have met them and will always look back fondly on our stress-free wedding planning process because of them. Mother Of The Bride – Doug did an AMAZING job for us! We originally went to see Doug regarding flowers but ended up utilizing him to decorate. I love that Doug listened to us! We showed him pictures of things we thought we wanted, and he asked really great follow-up questions. Oh! And did I mention he doesn’t mind you calling or texting him if you have questions? He ALWAYS made himself available and always responded promptly. The end result was the church was absolutely beautiful! Doug suggested that we repurpose the flowers from the ceremony and use them at the reception (saved us some money!) 🙂 Can I just say—the church and the reception venue was absolutely gorgeous! Our friends and family are still talking about the smell of the fresh flowers and how beautifully decorated the church and reception venue were. Doug and Glenn are the best in the business! They brought all of our ideas to life and we couldn’t have been happier. Let your search end here! I promise you won’t be disappointed. 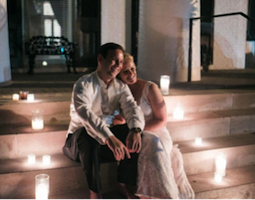 We cannot say enough AMAZING things about Doug and Glenn – We could not have pulled off our dream wedding without them! We had originally met with them to just discuss flowers for our wedding, but we decided to use them for coordination as well and we are so glad that we did. I knew the style, colors and details that I wanted and they were able to make it a reality. From flowers, to centerpieces to the layout of the venue they designed the simple, yet elegant style that I was going for. Doug and Glenn were available through every step of the process to answer any questions that I had and to refer me to the best vendors in town. Our flowers were everything that I wanted and more! I fell in love with my bouquet as soon as I saw it – the colors and simplicity were perfect and my style exactly. The arrangements were so gorgeous as well. 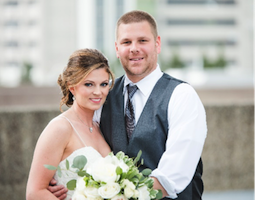 We transferred them from the church to the reception venue and they were perfect for both locations. They definitely made our “head table” stand out and bring dimension to the room. We seriously could not have asked for two better people to help us prepare for our most special day. They know their stuff and are the best at what they do. They are great at listening to your style and vision and then throwing in their own ideas as well, which was exactly what I needed. I would recommend them to anyone and we are SO pleased with their services. Mother Of The Bridge – We called Doug Smith Designs after reading the positive reviews from other clients. After we met him for floral design, we decided to retain him for coordination services also. It was the best decision that we made for the wedding. He is prompt in returning emails. He thinks of every detail. His floral arrangements looked like something out of a magazine. 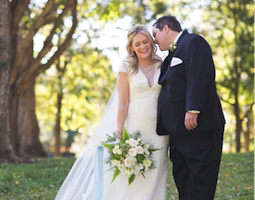 He took our daughter’s vision and created her dream wedding at Keene Place. He even dropped a wedding emergency kit by her hotel the morning of the wedding. My husband and I were able to be guests at the wedding because of Doug. Doug makes things happen. He is absolutely 100% dedicated to the event, and I cannot emphasize enough how integral he was in making the wedding stress free and completely enjoyable. Doug and Glenn are exceptional. I used them for both 30-day out planning, and all florals for our wedding this past October 14, 2017. 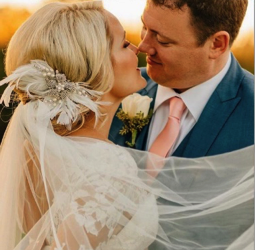 I knew when I began planning our wedding I wanted to surround myself with not only the best vendors, but also people that I connected with and would be able to keep me calm on the wedding day (I tend to get anxious in large groups, and knew I wanted a calm and relaxed wedding day!). Doug and Glenn took every worry away, and allowed my family and I to enjoy the day without stressing about any details. Every single detail was beyond beautiful, they were able to execute my vision perfectly! So perfectly in fact I am having another bouquet made to keep, it was the prettiest thing I have ever seen!! The process was easy, fun, and I consider them both dear friends. Do yourself a big favor and have these two be a part of your day. Doug Smith Designs + Events were so amazing! They made our wedding better than I could ever imagine. I came to them with a vision for our wedding and they took it above and beyond what I ever thought it could be. Everything they did before the wedding, especially the last couple weeks, was worth everything. The week before our wedding so much went wrong. We were planning on getting married outside and of course the forecast predicted rain on our day. They made a bad situation into something unbelievable and better than the original plans. They made our wedding so enjoyable for us and we didn’t have to worry about any problems that came up because we knew they had our backs. I am such a worrier and usually like to be in control, but Doug Smith Designs + Events set my worries to rest and made the day really something to remember. Doug and Glenn are amazing!! Honestly our wedding wouldn’t have happened without them. Due to some life circumstances, we had to move our wedding forward 3 months and they had all our changes figured out within a day. The biggest positives for us were: 1. Ease of communication – they were always easy to get ahold of if we had a question. There was no limit on the amount of communication or questions they would answer. 2. Our wedding day was totally stress free for me, we had an amazing time at our wedding!! This was the best money that we spent, I would highly recommend them to anyone! Doug & Glenn are truly gifted at what they do. I did my floral and a lot of my decor with them, and I truly could not be happier with the way things turned out. I met with and spoke to Doug on several occasions, and I felt so at ease knowing they oversaw those things. On my wedding day they had leftover flowers, so one of their team members brought over the flowers and greenery and found the most wonderful places for it. They have great ideas and are extremely accommodating to what YOUR vision is. Mother Of The Bride – As the mother of the bride it can be a challenge to keep peace with your daughter while planning such an important event and maintaining a reasonable budget. Doug Smith Designs was able to give us the guidance we needed along with many great options on venues, caterers, rentals, music, etc. As an event planner/fundraiser for a non-profit organization I thought I could manage my first daughter’s wedding in 2014. Needless to say, I could not! I actually had to pull 3 friends to help me at the last minute. I didn’t think about the fact that someone would need to oversee the venue setup, the vendors and their deliveries and help the bride get dressed the day of. Mom’s can’t be in numerous places at one time and be available for their daughter. Therefore, I highly recommend Doug Smith Designs as your wedding coordinator and floral designers. They captured my daughter’s vision perfectly and gave her the wedding of her dreams. Doug Smith and Glenn Blind do exceptional work and are very easy to work with and are worth every penny they charge! I met Glenn and Doug through Sarah Burton with Simply Love Studio. I attended a few of the vacation bridal school series as I spent two years planning my wedding 🙂 and I fell in love with their work. When it came to flowers, decor, and day of coordination I knew what I wanted and Doug helped my vision come to life. I wanted a VH1 celebrity wedding and Doug made it happen. Everything from the pink up lighting, to my flower wall, to the sparkly navy linens, and floating candles, everything was perfection. Doug was great in helping me stay calm as time drew closer to the big day. I’m sure he regrets giving me his cell number lol but he was nothing less than amazing. I just got my wedding album preview photos back a few days ago, and there was no one else who could have helped me pull off such a beautiful wedding ceremony followed by a magical reception. Doug was a huge part of one of the happiest days of my life and I am forever grateful! I would highly recommend Doug Smith Events and Design to any bride who knows what she wants! Better than I ever could have imagined! As an out-of-towner, I never worked directly with Doug or Glenn; only with my wedding coordinator. The day of, seeing the stunning florals, the amazing decor, the picturesque designs that they had created… I could not have been happier. Thank you so much for your wonderful work. I cannot begin to express enough thanks and gratitude to Doug and Glenn. Not only did they execute PERFECTLY the biggest day of my life, but they went above and beyond to elevate every aspect of our day. For someone who did not have their heart set on a certain flower, a certain theme, design etc. – they gave me everything I wanted and more. I was relaxed, stress free, and enjoyed every part of the wedding planning process with them. The day of timeline and execution was flawless and our floral arrangements were simply stunning – there is no other way to put it. They are well respected within the wedding “community” which helped keep the entire process smooth when dealing with other vendors. This day was beyond perfect & I owe it all to them. It was a joy and pleasure to have these two a part of our day and I look forward to having them as friends for years to come! Mother Of The Bridge – Words cannot express how fantastic Doug and Glenn were being the Floral Designers for my daughter’s wedding as well as the wedding coordinators! The flowers and all of the decor was absolutely breathtaking, from the church to the reception site. They have such a keen eye for what looks amazing, that we let them advise us every step of the way and they did not disappoint! We were speechless when they took us in to see the reception room before the doors were opened! It was truly breathtaking! We also used Doug and Glenn as our wedding coordinators, and the rehearsal as well as the entire wedding day was stress free and went off perfectly! We took their advice every step of the way, and they had a timeline for us and all of our vendors down to the minute! Their attentiveness to the smallest detail will amaze you! Just like this morning when I texted them asking if the Priest had the marriage license to be filed they informed us they had it and they take care of that for their couples! A wedding can be a stressful time, but not with Doug and Glenn! I cannot recommend them highly enough; I wish there was a ten plus rating because a five does not do them justice! 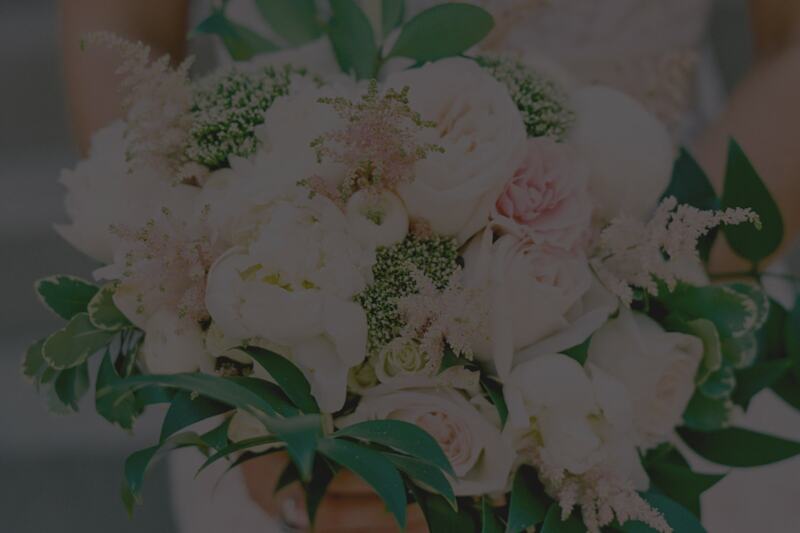 We feel we have made great friends with Doug and Glenn, they are fun, caring, easy to talk to and work with, and experts in floral design as well as wedding coordinators! If you want the perfect wedding down to every last detail, they are your choice! Doug Smith Designs went above and beyond for every aspect of my wedding! Both Doug and Glen were amazing. My flowers especially my flower wall was beyond expectations and is bridal magazine worthy! They handled everything flawlessly and Glen even helped wrangle the nephews and my dogs right before the ceremony. I have nothing but words of praise for these two. If you are looking for florist with both beautiful flowers and amazing customer service use them! Thanks a million you two! Doug and Glenn made the wedding planning process so fun and such a breeze. I was told I was the calmest bride leading up to the wedding and on the day of and my only response was because of these two. I couldn’t say anything negative about them. Everything was perfect and so well handled – they even found us our venue! And flowers – I let Doug do his thing and I couldn’t have Been more impressed. He is truly an artist! I would recommend both the flower services and wedding planning to anyone I know.